Travel through Canada’s stunning Rocky Mountains, alongside the powerful Kicking Horse River, and pass by monumental landmarks from the early days of the National Railway. 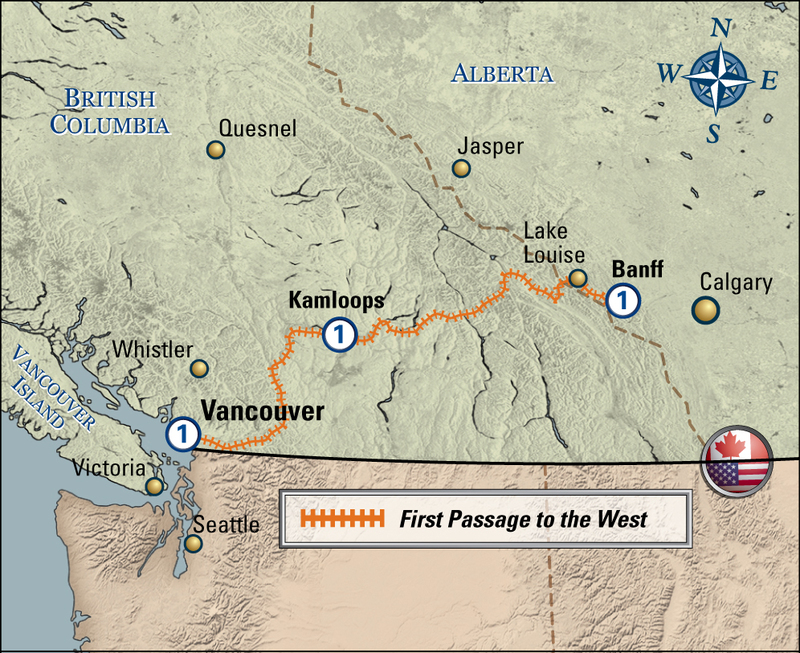 This legendary route along the Canadian Pacific track is famous for uniting the country and connecting British Columbia to Canada over 125 years ago. Travel through the legendary Spiral Tunnels and pass by the spot where the last spike on the Canadian Pacific Railway was driven. This is the only passenger rail service on this historic route, and its construction is one of the most important in Canadian history as it united Canada from east to west. You’ll also transverse the Continental Divide and be inspired by spectacular mountains and dramatic canyons. If you’re a history buff, this route is for you. Arrive in Banff and spend time exploring on your own. Overnight in Banff. Your holiday ends upon checkout from your Vancouver hotel. There are a number of factors which will influence the price of your travel arrangements, including the month of travel, category of seat, the duration of your trip should you wish to add any additional nights or services. Prices are per person based on double occupancy. Taxes and additional fees not included. Rates are available for Single, Triple & Children (2-11 yrs) . Service: In SilverLeaf Service enjoy panoramic views through oversized windows in a single-level dome coach which has a larger viewing area than RedLeaf Service, a hot breakfast and lunch served at your seat (choice of entrées) and all non-alcoholic beverages are complimentary. Service: Passengers who travel in GoldLeaf Service are accommodated in reclining seats in the Dome Coach, with panoramic views through full-length windows and access to a viewing platform. Meals are served in a lower level dining room and include a full range of beverages. 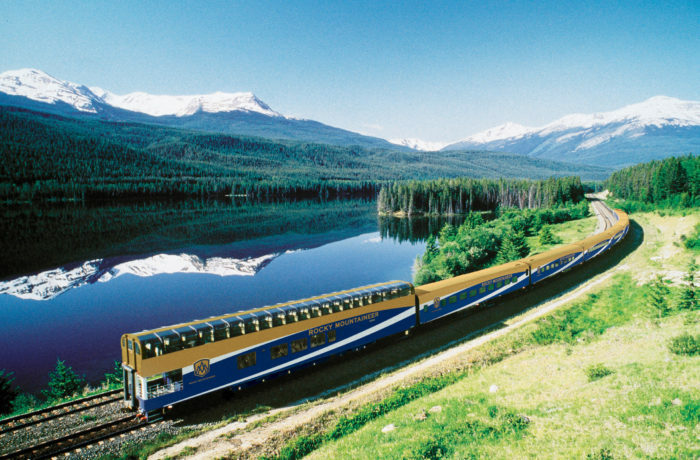 Service: Guests booking GoldLeaf Deluxe Service will travel in GoldLeaf Service onboard the Rocky Mountaineer, plus enjoy upgraded hotel accommodation throughout their tour (note: all accommodation in Kamloops and Quesnel is moderate).